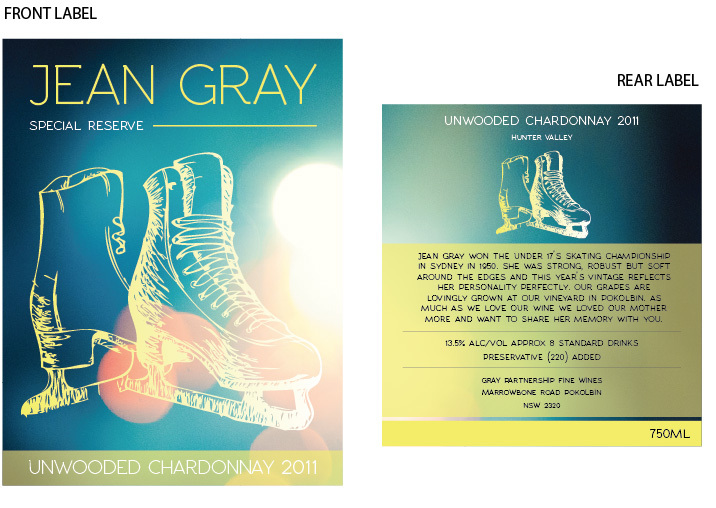 The makers of this unwooded chardonnay named this special drop after their late mother, Jean Gray. Jean won the under 17’s skating championship in Sydney in 1950. She was strong, robust but soft around the edges, which was aptly reflected by this 2011 vintage. This was a great packaging design exercise for the design team at Splash. The concept of the label has a fresh contemporary feel that reflects everything that the wine represents.